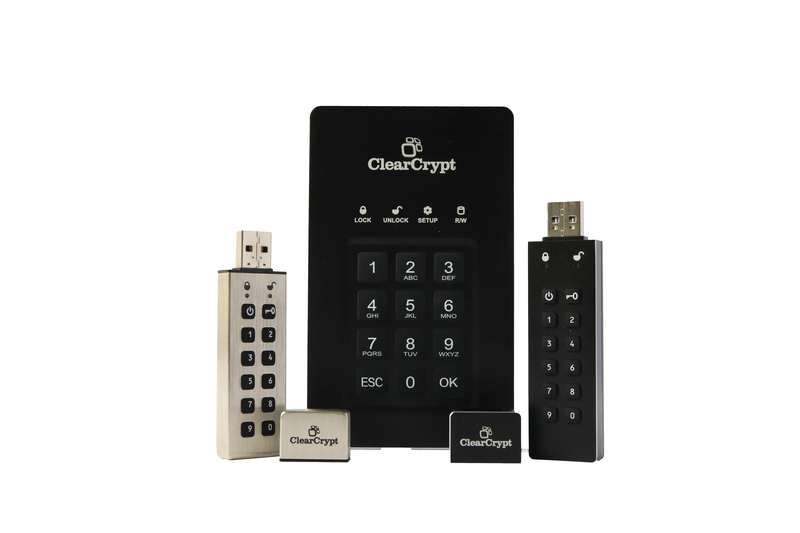 ClearCrypt encryption is simply a hardware password protected device. Our Products is designed so that any team member of your organisation can use it. Meaning that everyone outside of the IT department can protect your business' data with no training. Each Time when using, just plug into a device and type in your pin number. ClearCrypt devices are easy to set up. The First Time you Plug in to your Laptop or computer just input your 16-32 digit code. This is your code for life, so don't forget it! The Device requires no installation as they are software free, enabling you to move and protect your data quickly and with as little disruption as possible. View our range of travel-safe data storage products. We've created easy to view free manuals for our products so you never have to be lost when operating any ClearCrypt Products.